Simon & Schuster, 9781501109867, 608pp. 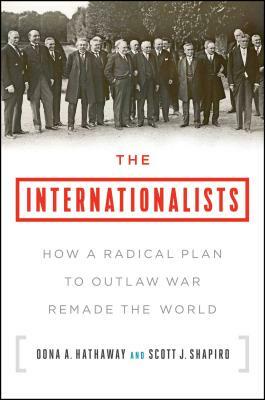 The Internationalists tells the story of the Peace Pact by placing it in the long history of international law from the seventeenth century through the present, tracing this rich history through a fascinating and diverse array of lawyers, politicians and intellectuals—Hugo Grotius, Nishi Amane, Salmon Levinson, James Shotwell, Sumner Welles, Carl Schmitt, Hersch Lauterpacht, and Sayyid Qutb. It tells of a centuries-long struggle of ideas over the role of war in a just world order. It details the brutal world of conflict the Peace Pact helped extinguish, and the subsequent era where tariffs and sanctions take the place of tanks and gunships.